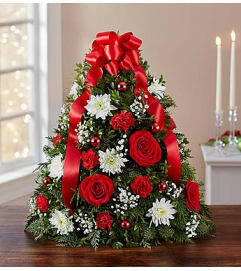 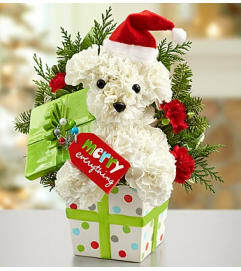 Deliver a cup of Christmas charm with our gleeful gathering of red mini carnations, poms and fragrant evergreens. 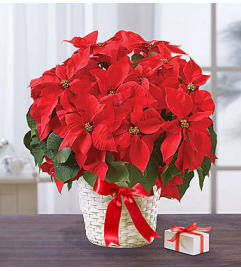 Hand-designed in a winter white mug, it brings lasting holiday cheer to the home or office. 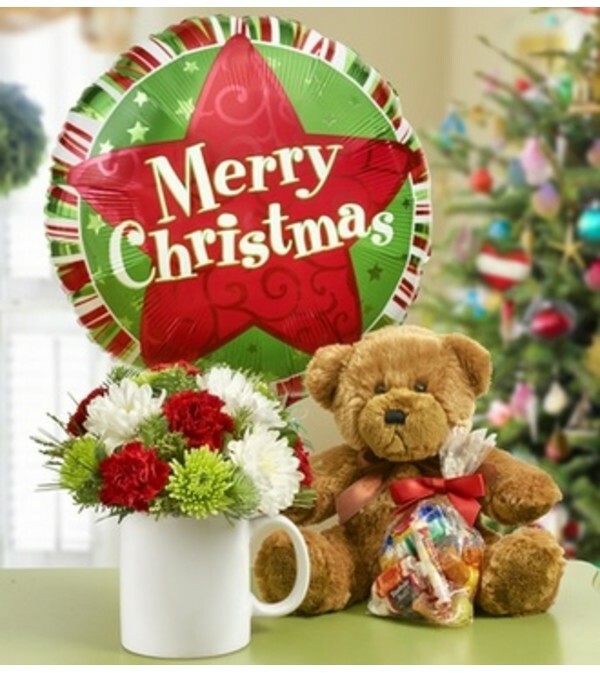 Add a festive balloon, sweet candy treats and a cuddly plush bear to really kick up the jolly.